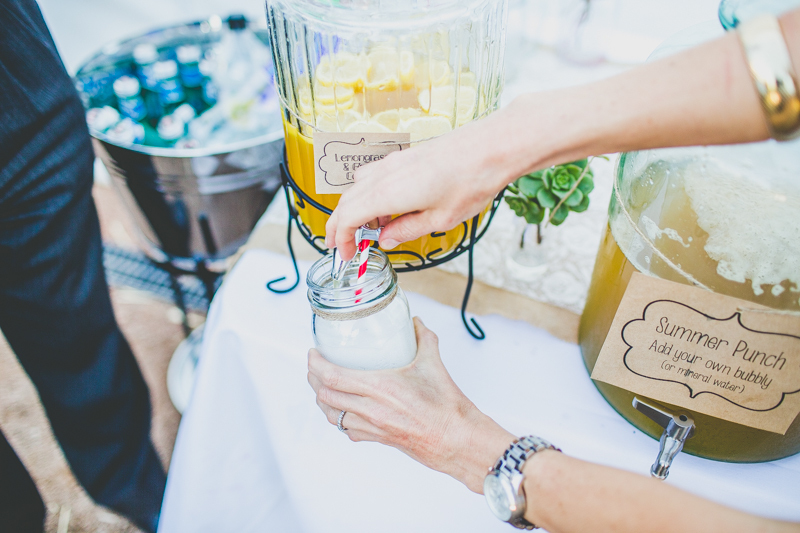 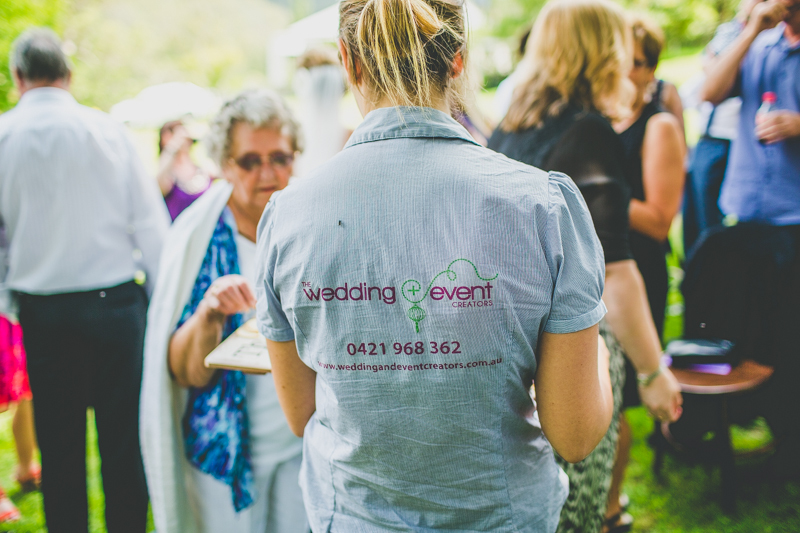 We were brought on site for set up and on site coordination the day and evening of the wedding plus assistance with set up and run through the day before. 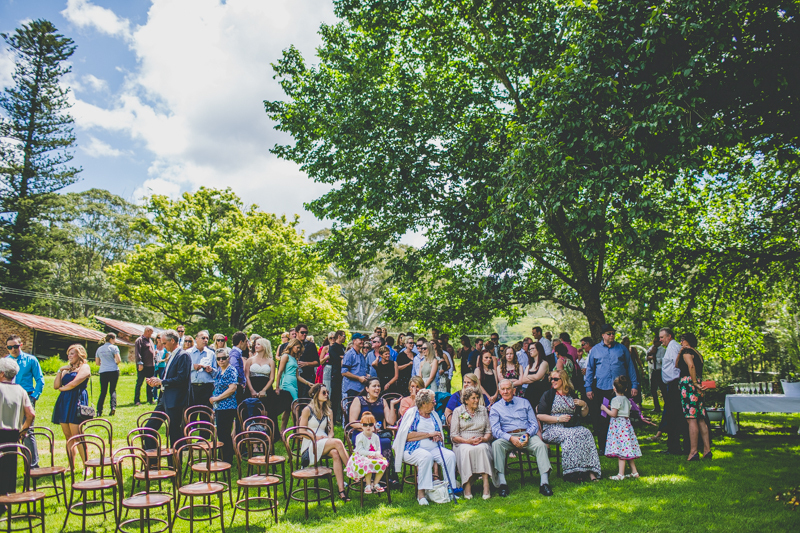 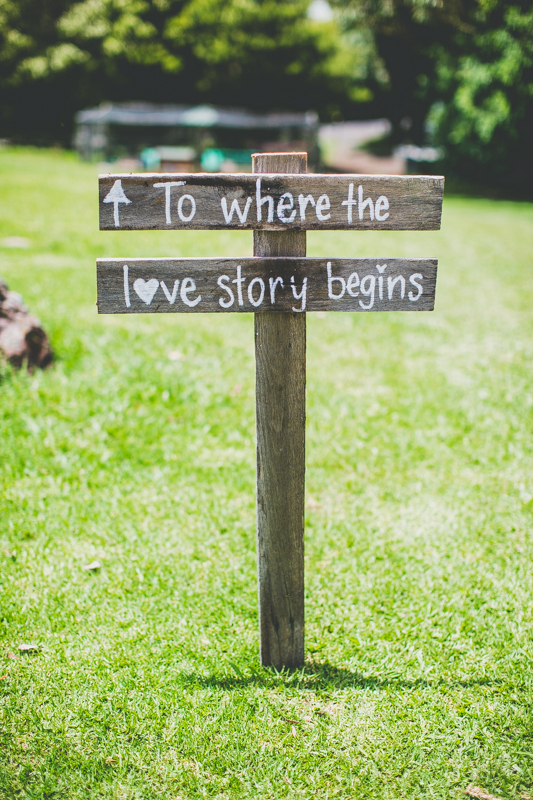 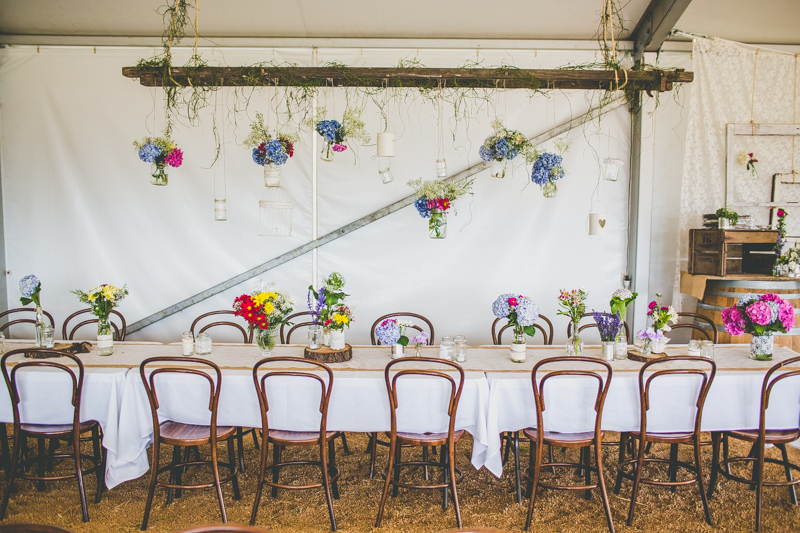 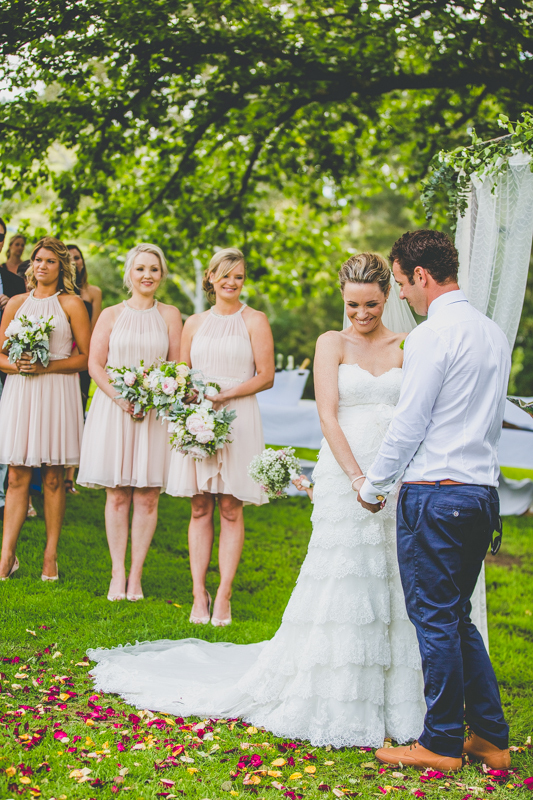 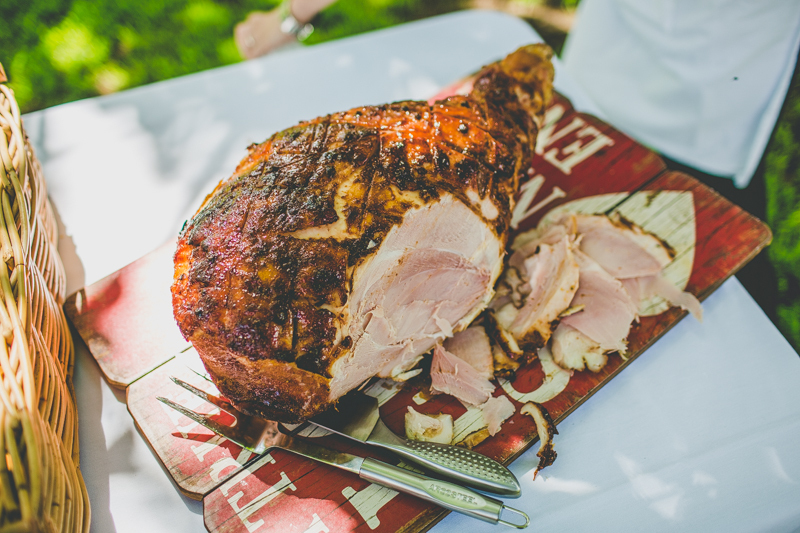 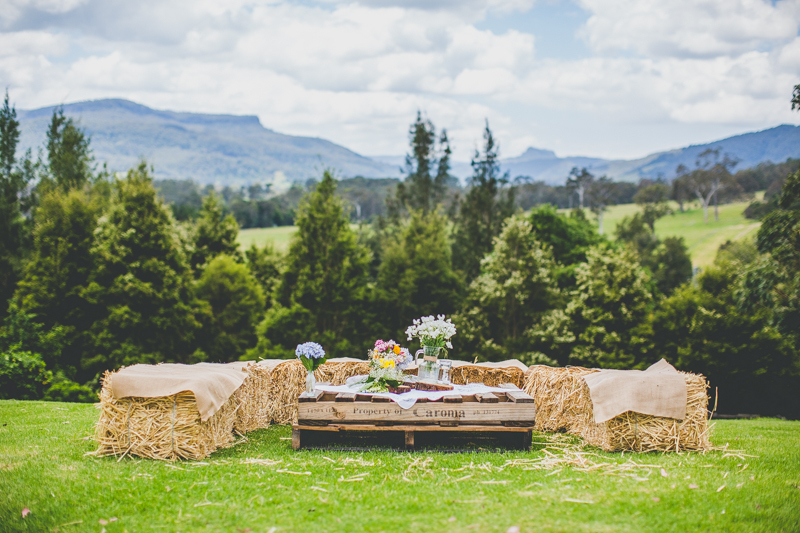 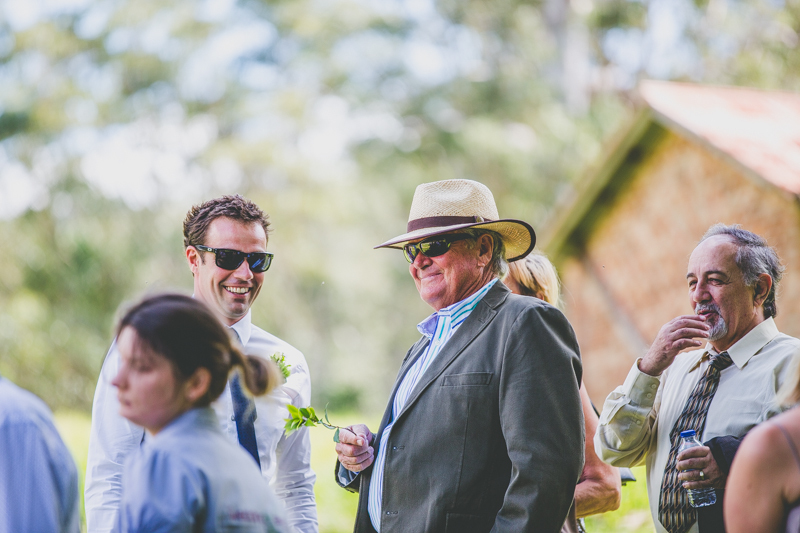 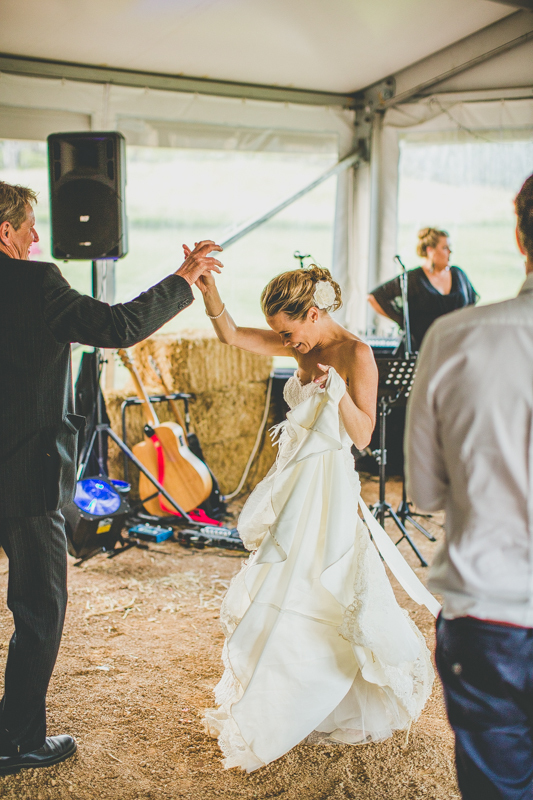 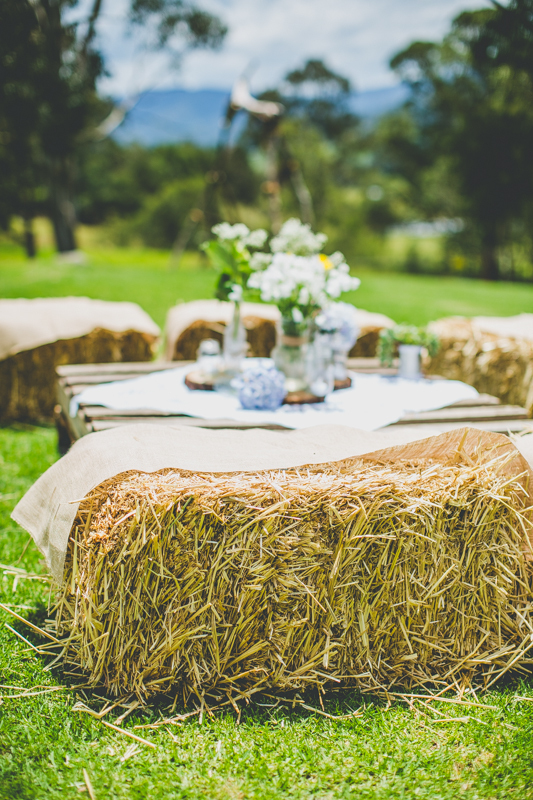 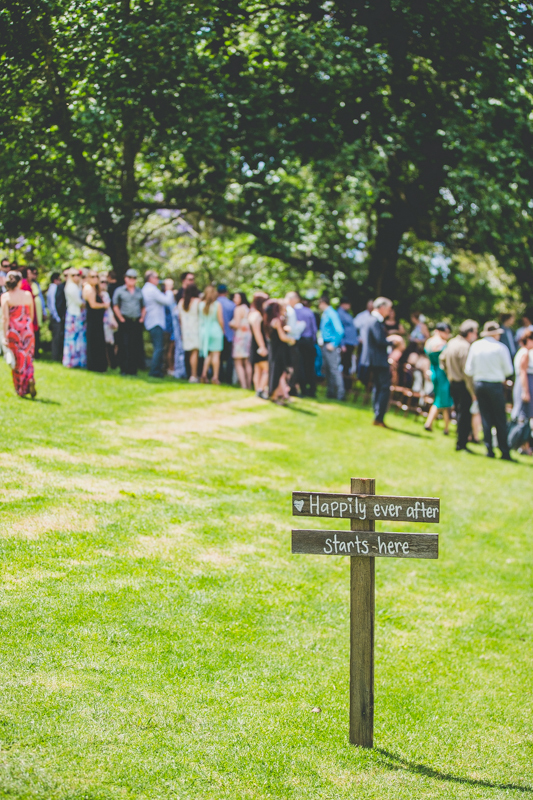 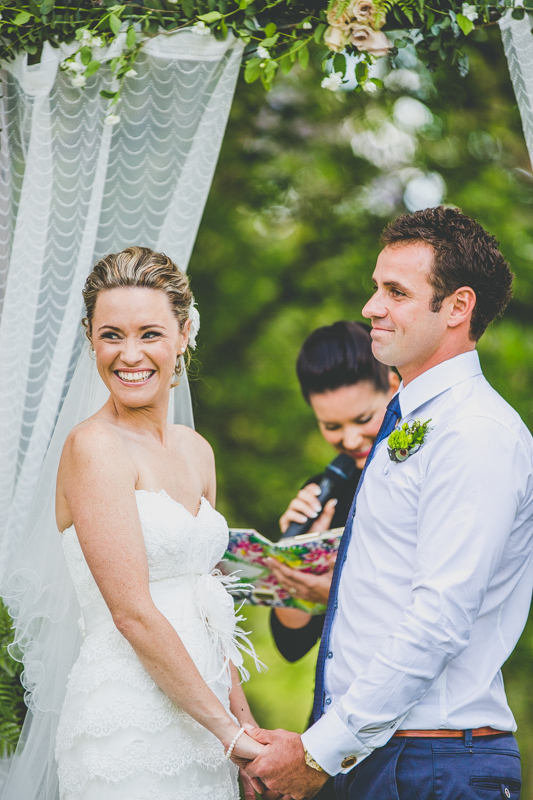 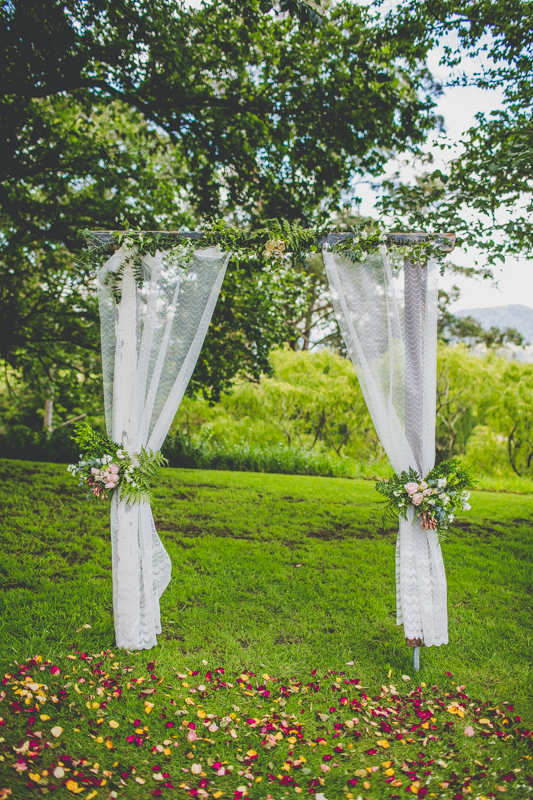 The wedding was held at one of our favourites Minimbah Farm in Kangaroo Valley, a marquee set with stunning rural views of the valley, accommodation on site and several beautiful settings for the ceremony. 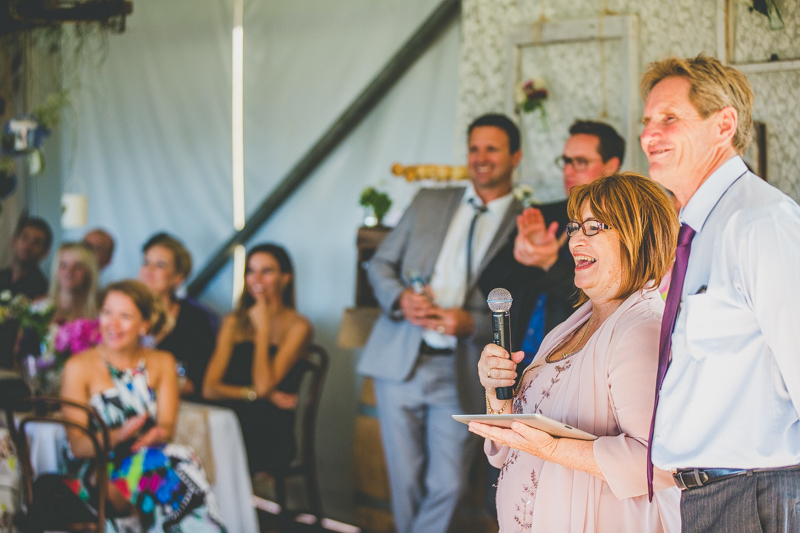 Renee and her mum Caroline were an absolute pleasure to deal with. 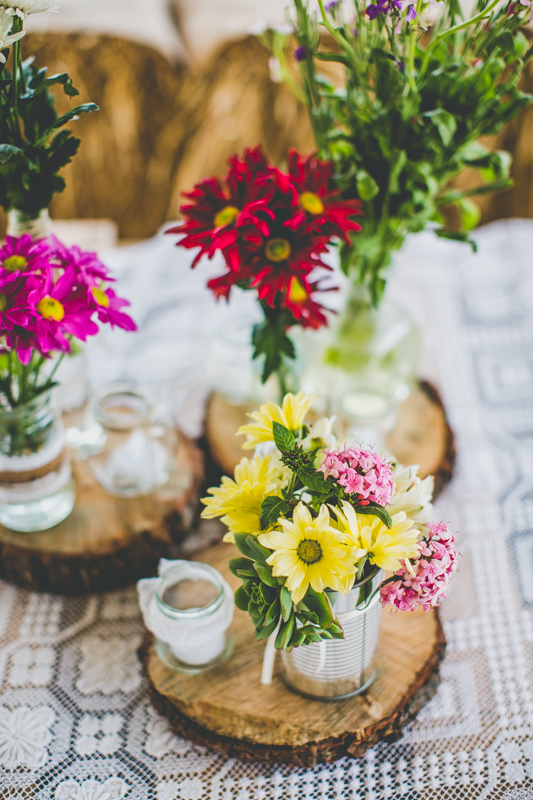 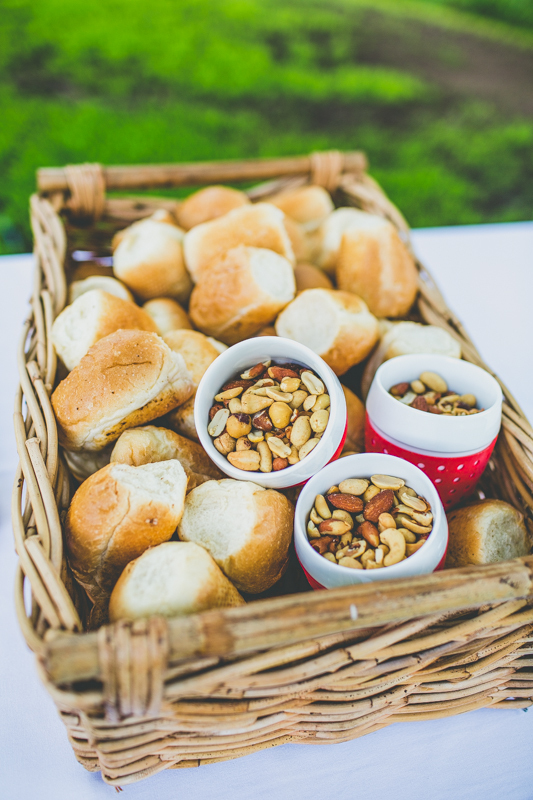 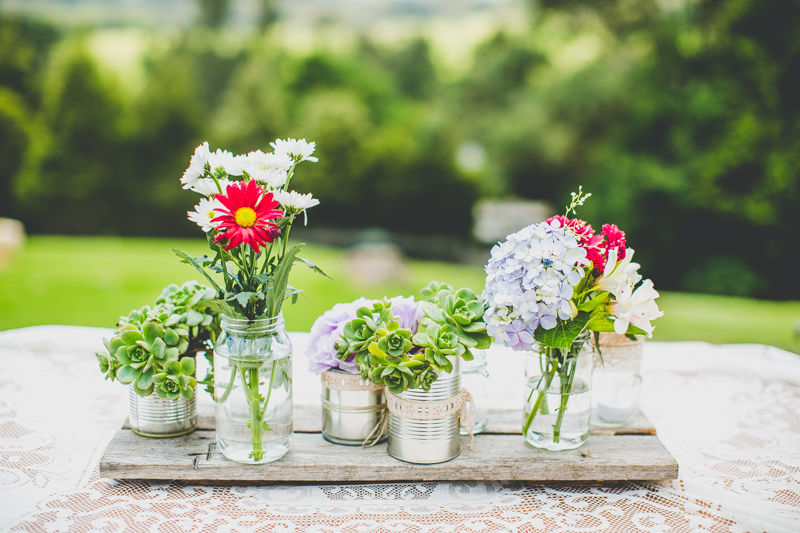 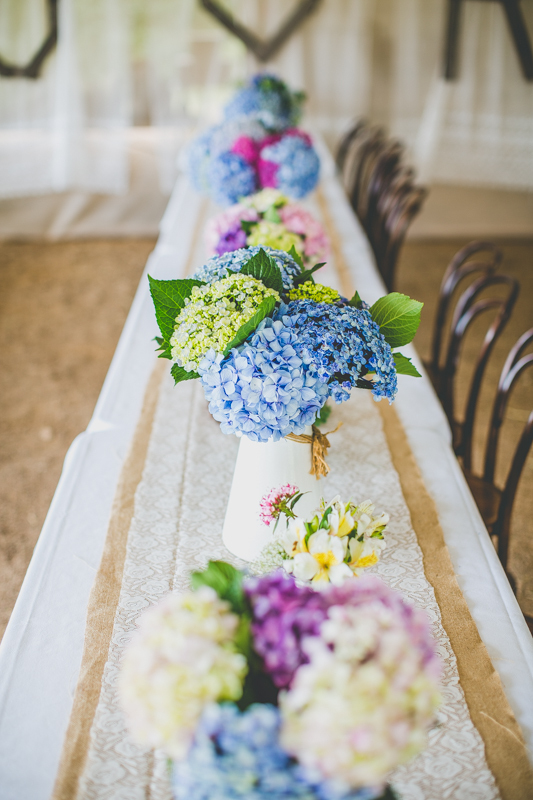 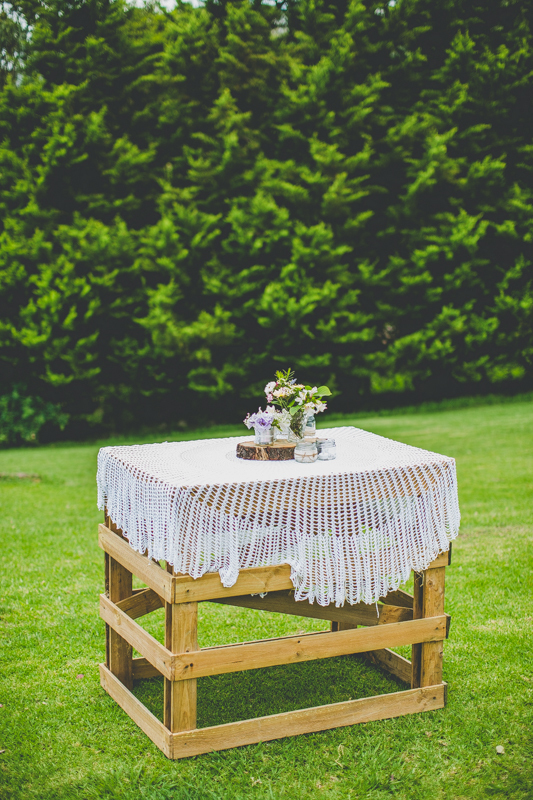 The theme was a vintage, rustic, farm style portrayed perfectly with a mix of wood rounds, tins, jars, bottles and beautiful seasonal flowers. 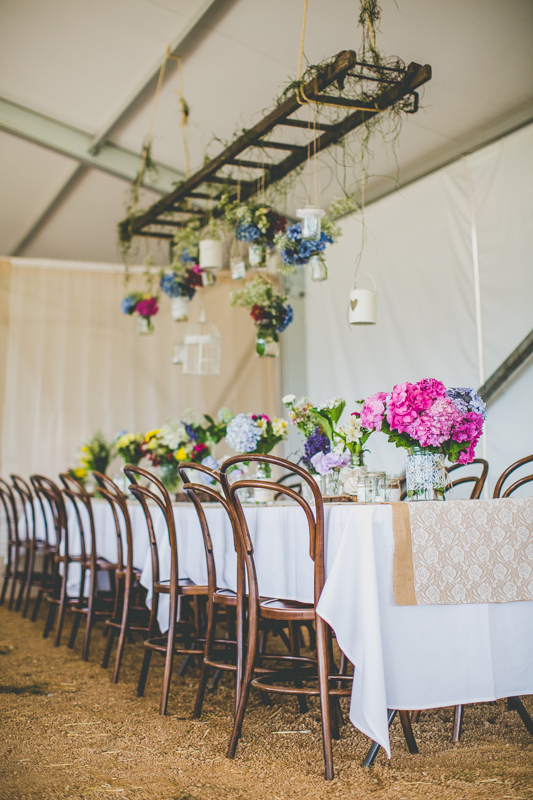 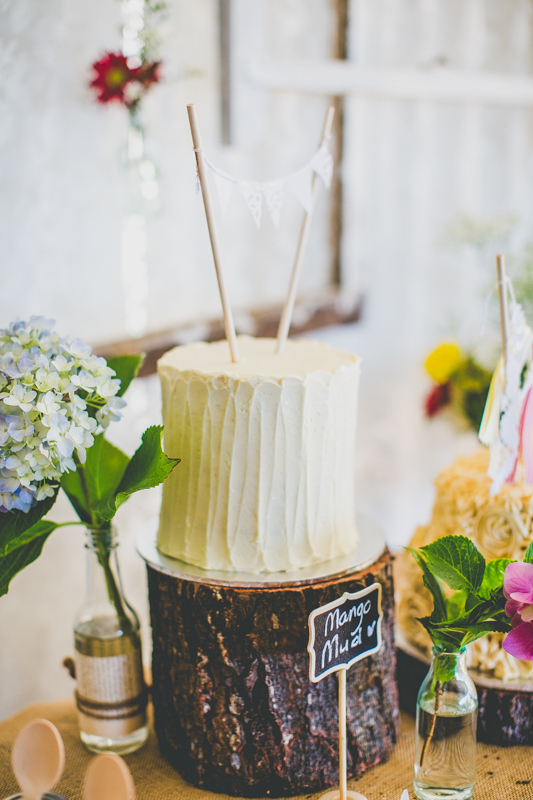 Wooden palings and a spectacular hanging roof feature and dessert table set the scene. 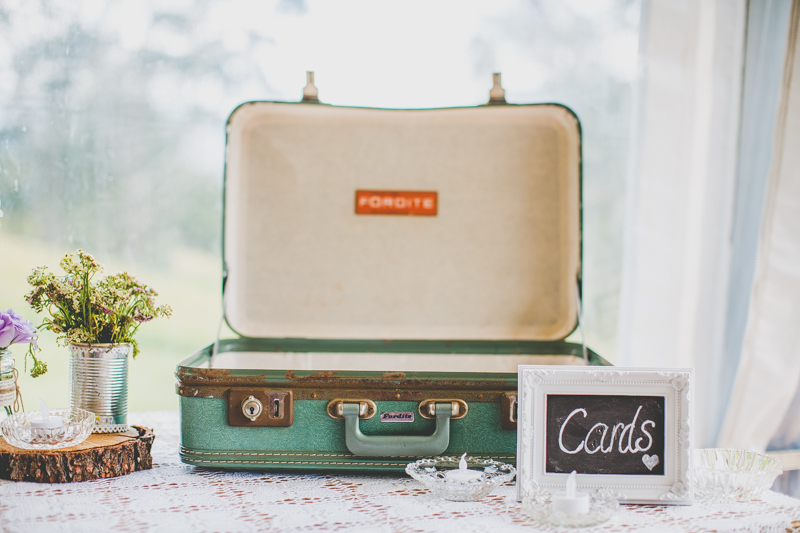 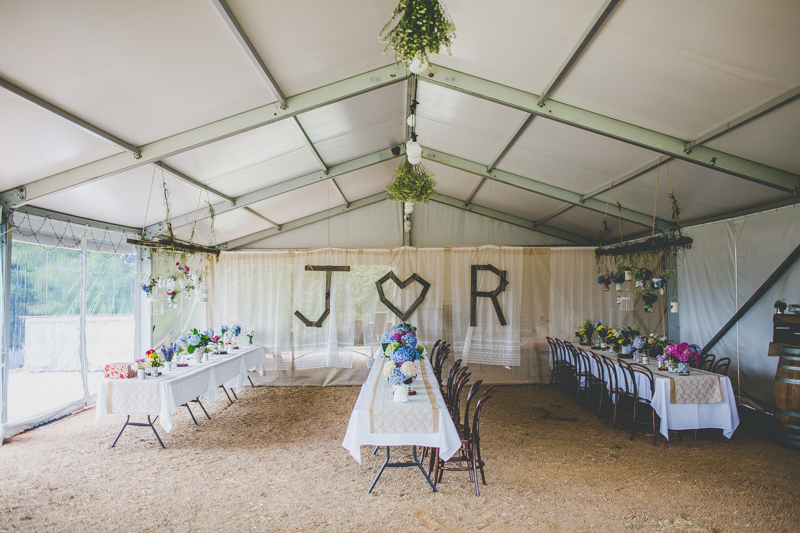 Setting up final decor at reception, turning candles on, putting throws and rugs out, opening up marquee to let air in. 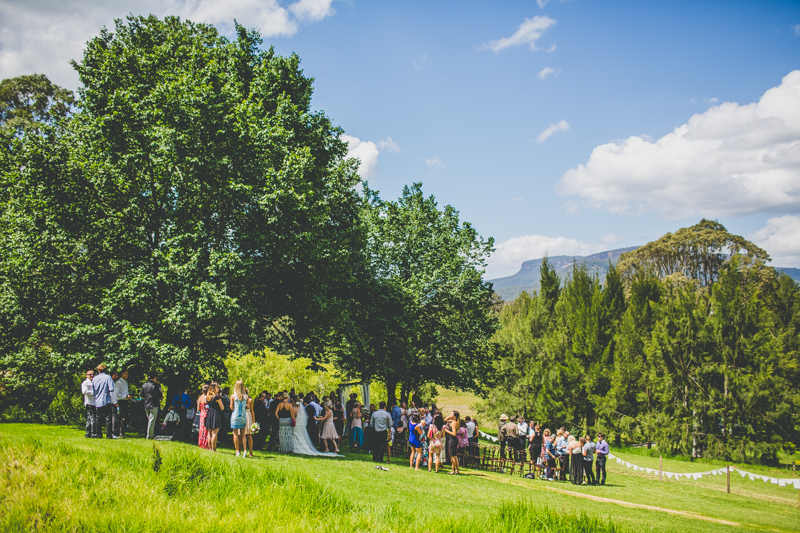 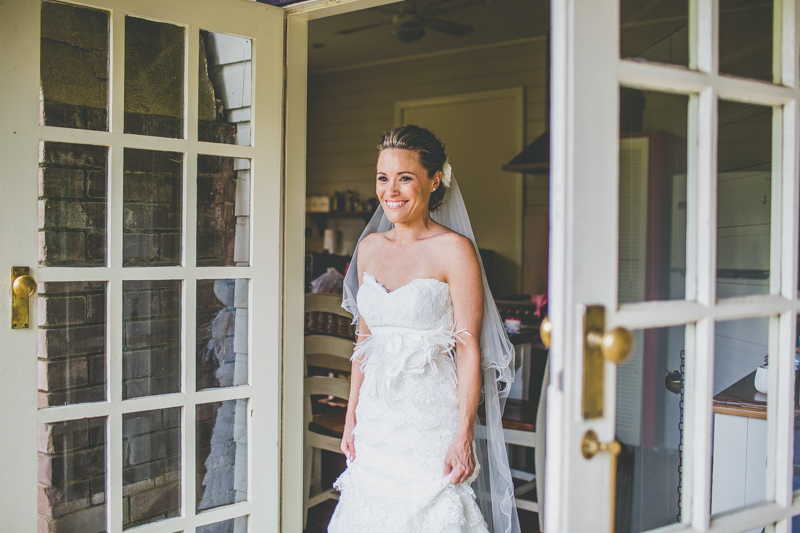 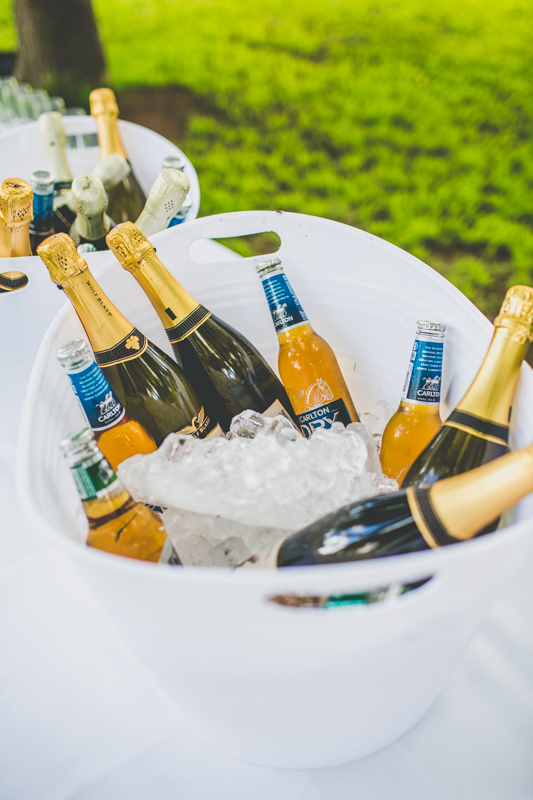 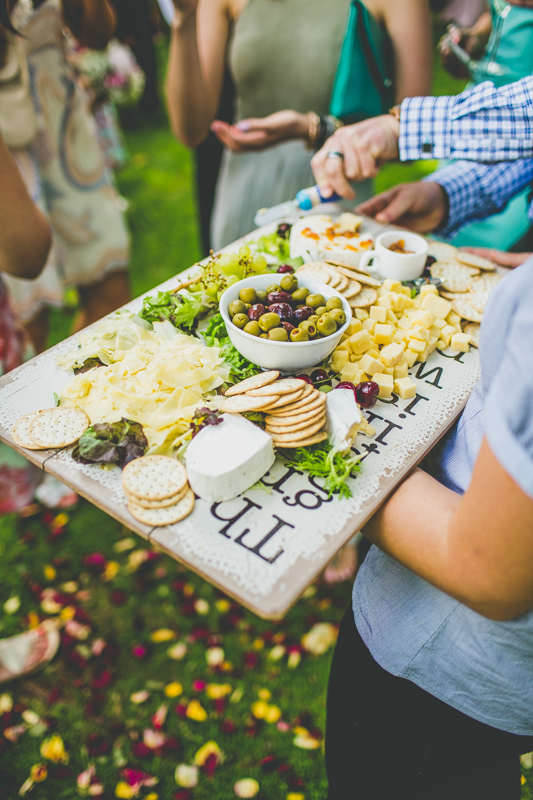 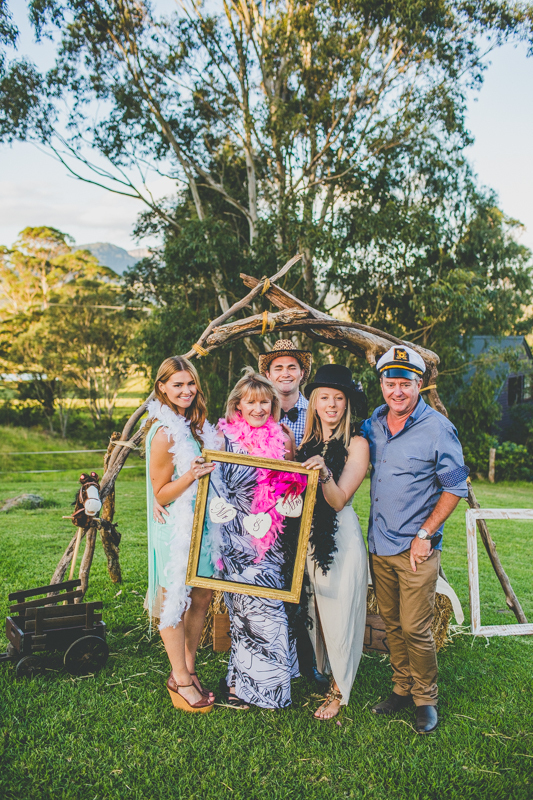 We really enjoyed this wedding, the decor was fabulous and all guests really enjoyed themselves in this fabulous Kangaroo Valley setting at Minimbah Farm Cottages.